Remember the days when gas was 25 cents a gallon? OK that may be going back too far for some, but the point is those days are long gone. The average price for a gallon of gasoline in Salt Lake City is $3.55. When you figure minimum wage is $7.25 an hour, money spent at the pump can add up pretty fast. Here are a few simple ways to save on gas. Slow down and enjoy your commute. Plan ahead and give yourself plenty of time to get to your destination. Fuel consumption is reduced by 7% for every 5 mph slower you drive. Does your car pull to the left? How about to the right? Take it in and get those tires aligned! Poor alignment can burn up to 10% more gas. Keep your tires inflated to the proper pressure. Taking a few extra minutes to inflate your tires can save up to 6 cents a gallon. Change your air filter regularly. Not only will you breathe easier, a clean filter can improve fuel consumption up to 10%. 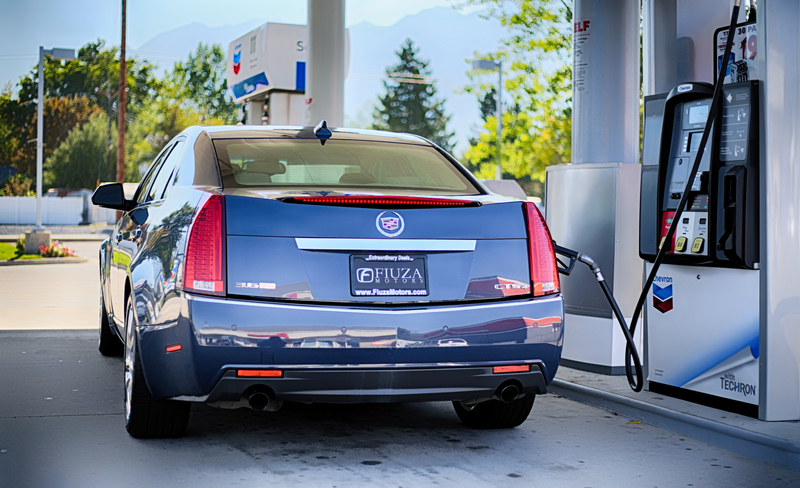 When an engine is running properly, you’ll save money at the pump. Gas milage efficiency goes up an average of 4% by fixing a car that failed its emissions test. Fixing more serious problems can save up to 10 times that in gas. Following these tips will save you money at the pump now, and may save you even more money in the future by avoiding problems caused by neglect of simple maintenance. ← Why Get a CarFax Report?